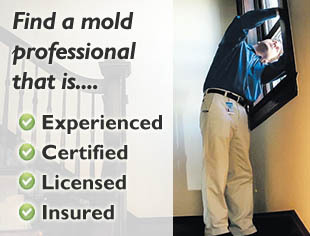 Home » Mold Science » What is Mold? Mold is a fungi and it’s is everywhere in nature. Fungi are a diverse group of single-celled organisms that includes mold, mildews, mushrooms, smuts, rusts and yeasts. Mold can even exist indoors in either living form as a growing colony or as dead spores on surfaces or in the air. When an environment contains the right amount of nutrients, moisture, and oxygen with ideal temperatures, mold growth can occur. Mold thrives between 60-90 degrees Fahrenheit. Around 100,000 types of mold have been identified and named, but it is estimated that there are over 400,000 types in existence. Less than 1,000 specific types are found indoors. These species are categorized into classes or groups, which is what labs use for identification. Out of all the types of mold that are more commonly found in indoor environments, less than 1% are considered to produce toxic byproducts. By appearance, mold can vary greatly depending on the species, media it’s growing on, and its stage of growth. Mold is typically fuzzy or wooly in texture with colors ranging from black, green and brown to yellow, gray, pink and white. 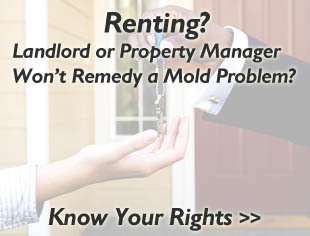 The type of mold that exists in an indoor environment cannot be determined by the naked eye. Professional testing samples of the air and surfaces must be obtained from an environment followed by microscopic analysis of those samples by the highly trained and educated technicians of a laboratory that specializes in fungal analysis. The laboratory that completes analysis of mold testing samples will output a report. A mold inspection company will combine the results of the laboratory fungal analysis report with an on-site inspection report to produce a complete property mold inspection report. A reputable company will be able to interpret the laboratory’s report along with their on-site inspection report to determine if a health hazard exists and the extent of the contamination, if one exists. The impact of mold on human health varies by person. For more information about how mold impacts our health and the symptoms of exposure, visit the Symptoms of Mold Exposure page. Visible growth of what appears to be mold. Recent water intrusion from a leak, flood, or backup. Discoloration or staining of the ceiling, walls or floors that would indicate water or mold damage. Knowledge of property defects, faulty construction, plumbing problems, HVAC problems, and old roof, or improper grading or ventilation. Elevated humidity inside the property or in certain rooms. Health symptoms that include: allergic reactions, respiratory problems, or unexplained infections. A toxic mold begins growing indoors. Any type of mold growing indoors releases high concentrations of mold spores into the air. Someone with severe mold allergies lives in an environment with mold growth. Children or the elderly are exposed to an environment with high concentrations of airborne mold spores. Someone with a genetically weaker immune system or an immune system that has been weakened by illness or medical treatments lives in an environment with mold.